Love the bright, cheery sound of Gaither Gospel music? From the opening chords of 'When The Saints Go Marching In' and 'Heavenly Parade' to the tender performance of 'Sometimes I Wonder,' this fan favourite quartet, widely acclaimed for their on-stage presentations, delivers the energetic performances and powerhouse, four-part harmonies that have made them a household name among gospel music lovers. 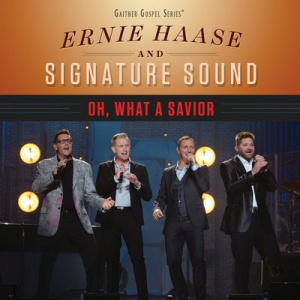 Oh What A Saviour CD by Ernie Haase & Signature Sound was published by Gaither in November 2015 and is our 111th best seller. The ISBN for Oh What A Saviour CD is 0617884892722. Be the first to review Oh What A Saviour CD! Got a question? No problem! Just click here to ask us about Oh What A Saviour CD. Now Playing: When the Saints Go Marching In Your browser does not support the audio element.